Okay, so you’ve heard about the 2016 Honda Accord safety devices—they’re powerful, versatile, and incredibly numerous. You’ve no doubt also heard about the entertainment and information technologies offered by this awesome sedan: you’ll get superior audio, high-quality connectivity, and a bevy of other exciting devices. 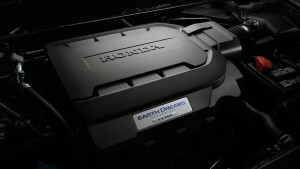 But what you might not know is that the Honda is also equipped with a tremendously impressive range of performance features, from a wide selection of engines, to excellent efficiency rates, to an Eco Assist Program, and Hill Start Assist. Let’s explore these in some detail. First of all, you can choose between a 2.4L I4 16-Valve DOHC DI engine that can generate 185 hp as well 181 lb-ft of torque, or a V6 engine that ensures an epic 278 hp and 252 lb-ft of torque. And the Accord is going to guarantee you a clean, efficient drive no matter what. Each of its trims give you an Eco Assist program, for example, which allows you to choose your particular driving mode based on the terrain and weather conditions in which you find yourself. 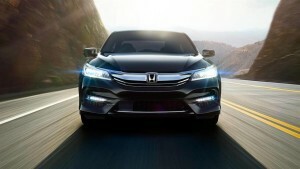 Finally, the new Accord also gives you a range of powerful driver assist programs to improve all aspects of your drive. With Hill Start Assist, the Accord will give you a little extra help when you’re starting the engine on a hill by activating the brakes before you press down on the gas pedal. Milwaukee area residents can experience all these exciting performance features in person anytime. Simply pay our David Hobbs Honda dealership a visit and take this awesome new sedan out for a test drive. We can be found at 6100 North Green Bay Ave in Glendale, or we can be reached by phone at 888-216-8497. Don’t delay: explore the 2016 Honda Accord performance features today!